There are many ways to divert panic attack symptoms, and the effectiveness of each technique will depend on the individual. This video shows some techniques which may work for you; if they don’t, then contact me through Panicattacktherapist for more suggestions. Remember that these are not cures but are techniques to make the attack more bearable. 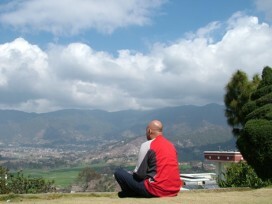 IIf you are looking for a cure for your panic attacks, then please click here. So, which techniques do you find useful to divert panic attack symptoms? Put your ideas in the comment box below. 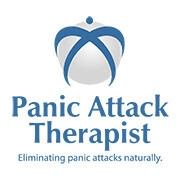 Also, have a look at www.hypnosolution.co.uk for other great ideas to divert panic attack symptoms. Panic attack symptoms can appear when and where you least expect them. A woman waits at the bus stop for her bus to work. Her mind increasingly fills with worrying thoughts and the tension boils over from panic attack symptoms into an anxiety fuelled panic attack. But she is no stranger to this frightening manifestation, and recognising it as an anxiety attack decides to attempt to self-pacify by listening to soothing music on her iPod. The method appears to have succeeded to calm her body and mind, but as the film draws to a close you sense the exhaustion and possibly a shred of fear in anticipation of next time she experiences panic attack symptoms. The above video is of a woman using music as a diversion to take her mind off the panic attack symptoms. It is important to think of activities/hobbies etc to take up your time to prevent you from constantly thinking about whether you will have another attack or not. For other ways to divert your thinking, speak to a therapist. Do you have diversion techniques which work for you? Share them by putting them in the comments box below.